FingerTec biometrics are bundled with Windows-based software, be it TCMS V3/TCMS V2 for time attendance, or Ingress for door access. For the most part, the Windows-based software is able to fulfill the majority of our worldwide customers requirements. However, there are circumstances whereby the business requires more from a solution and this is where the cloud software like TimeTec steps up. When the business thrives, the staff count multiplies and the management of employees become more complex for a Windows-based system to handle. Quantity-wise, Windows-based software has its own limitation, for example in Ingress when one customer connects 150 units in a system, real time monitoring is no longer an option and eventually the customer is forced to invest more on servers. The problem worsens particularly when the company has branches in multiple locations, mobile workforce and flexible working hours. With TimeTec TA, not only that it can handle unlimited FingerTec terminal connection regardless of the locations, it also can connect to the mobile App that can capture attendance through other ways apart from biometrics, such as GPS, NFC, Beacon and Wifi. 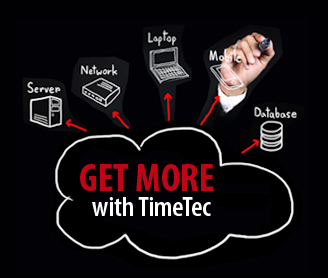 TimeTec TA promotes efficiency with cloud technology. Data is an asset to any organization and people are talking about its importance now, more than ever. While Windows-based software such as TCMS V3 and Ingress contains important data, TimeTec cloud solution offers that and a whole lot more. TimeTec provides huge data storage without having to spend a large amount of money, and there is no limitations set on the number of connected biometrics terminals to connect to TimeTec. Data in TimeTec is accessible and available at all times on web and app for convenience. How many times do you have to wait for your software to finish updating? Updating on Windows-based software stops you from using the system and worse, you need to repeat the process in every computer. Software update for Windows-based usually take months to be developed, so if there’s any bug or problem, you’d have to wait for the fix in the next few months release. 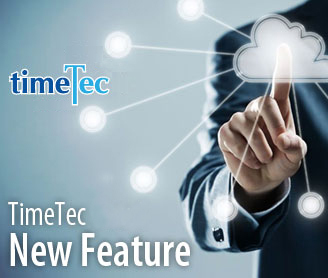 Cloud solution like TimeTec updates automatically, regularly and quick so the next time you log into the system, you can see the changes and updates; time saving and efficient. The common rule when using any software is to perform housekeeping and maintenance by removing or archiving old data. The process is tedious and requires a dedicated personnel to perform this regularly. Software that hasn’t been maintained well will lag and prone to crash. That’s not the case with TimeTec cloud solutions. At TimeTec, the maintenance of servers and database are taken care of at all times. Users will be informed on scheduled maintenance date and time, and the down time will be very minimal to avoid any disruption to its users. The capacity of a server in a Windows-based software depends on the PC, and for a PC to act as a server, a user needs to have a high spec PC; which will be very costly. Even then, there’s still limitation on the memory (RAM) which will reduce the speed of the software, server maintenance and so on. TimeTec solutions runs on the highly reliable and well known Amazon server, which is robust, stable and secure. Its huge storage and server facilities provides smooth and better user experience as a whole. Data in the server is also backed up regularly, keeping all data safe and sound. Windows-based software is not designed to work with Internet or with different devices such as mobile phone. Connection for Windows-based software is limited and cannot be used for companies with multiple branches from different countries. As TimeTec solutions are cloud based systems, users can access the solutions from anywhere, anytime from a place with Internet connection. TimeTec mobile apps are also available for user to clock and view their attendance, leave information and more. As accessibility for Windows-based software is limited, implementation time for a new system would take much longer time than on cloud. On premise system requires the same implementation to be done at multiple locations, so you have to repeat the setup process every time. With cloud services like TimeTec TA, you can setup for multiple branches a lot more quicker as the setup is shared and will reflect at all branches. Admin also can make changes and it will reflect to all branches within seconds. Often times organizations face challenges when they have multiple branches in different locations. One of the challenges is data centralization. Admin from different branches need to compile and send information regularly just to update their HQ. TimeTec cloud solution eliminates this process as all data from the company will be in the same account and viewable at any time. Analysis and workforce overview are also available in TimeTec to provide a clear overview of the company’s workforce status. 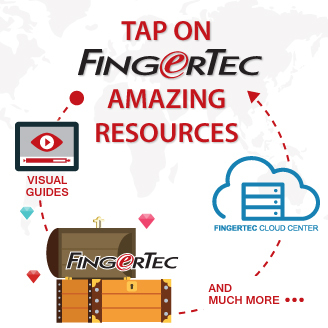 FingerTec Windows-based softwares are designed for Admin view only; where the main objective is for Admin to process attendance data or control access devices. Normal employees have no access whatsoever to the system and can only wait for the Admin to confirm on their data. On the contrary, TimeTec cloud solution provides a platform where both Admin and employees can view, edit and approve data, allowing a two-way communication for a more transparent system. In addition, TimeTec solution is complemented with mobile app where the process of view, edit, apply and approve can be done straight from a smartphone. Let’s admit it, mobile phone has become a necessity in our everyday life. That’s why TimeTec solutions offers mobile apps that compliment and complete the solutions. Users can clock their attendance, view schedule, request for OT approval and more directly from TimeTec mobile apps. This is not possible if you are using Windows-based software. Receive notifications, monitor attendance and overview of attendance in real time, straight from your mobile phone when you use TimeTec cloud solutions. Cloud is the future. Many organizations have moved to cloud and benefit from the system. 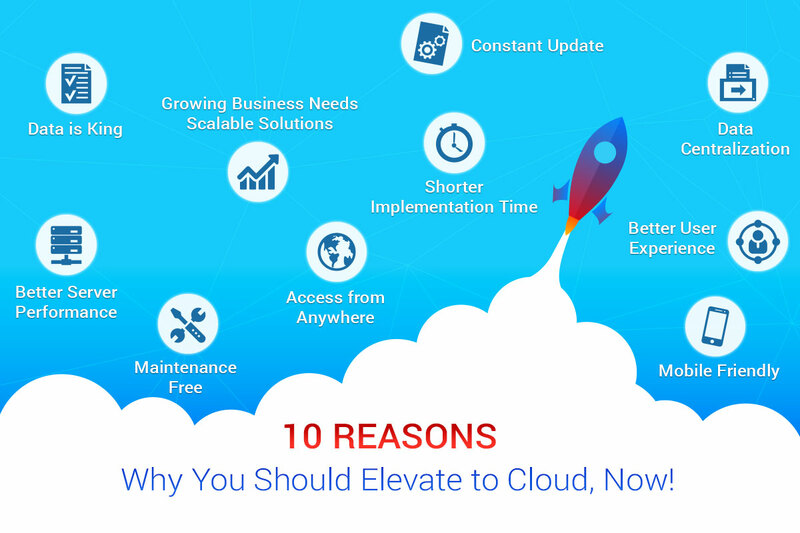 If you are still have doubts about cloud, we offer 30-day FREE trial at www.timetecta.com so you can give it a try! Free Consultation, contact info@timeteccloud.com and we’ll be right there with you.